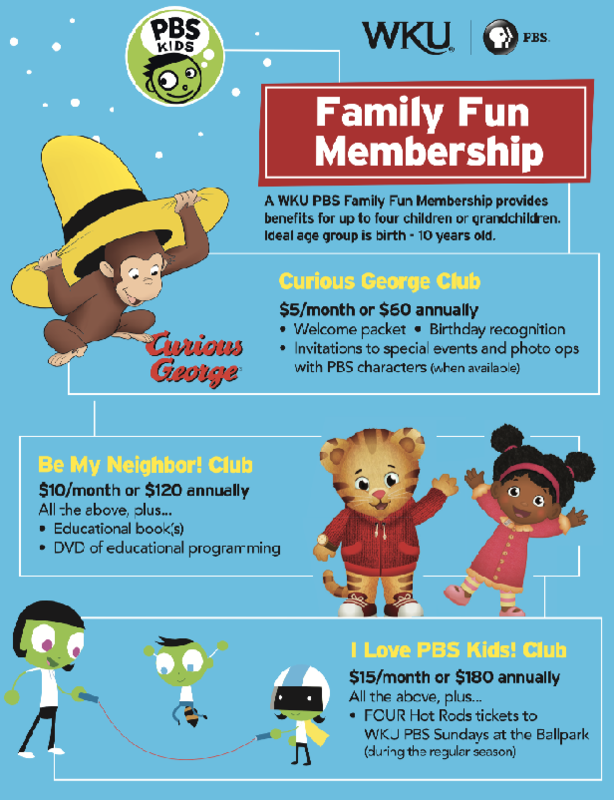 Joing WKU PBS with a Family Fun Membership! Your Family Fun Membership provides benefits for up to four children or grandchildren. The ideal age group is birth to 10 years old. Click here to start your Family Fun Membership!